The design phase is an important aspect of the e-learning development process. As an instructional designer, you play an important role in the design process. Knowledge of Instructional Design (ID) strategies and ways to create an engaging course will help you in your work. Here is a pick of the 10 must read articles (blogs) that will give you a better insight into Instructional Design and in turn, help you create effective courses. This article talks about the what, why, and how of ID. It defines what ID is, its importance, and how it helps in the e-learning design process. This article that provides basic information on ID, is a good refresher, Over time, we tend to forget the basics of a subject; this article will help you recall them and in turn, approach ID with a fresh perspective. We are all constantly learning when we take in information, interact with people, or solve problems. Instructional design helps quicken the learning process and does it better than what occurs naturally. This article underlines the importance of ID in building an e-learning course. It stresses the fact that if we want to create effective e-learning, we need to understand how adults learn. The main challenge instructional designers face is keeping the audience motivated and engaged so that they finish the course and gain knowledge. To do this, instructional designers have to adopt certain strategies that will enhance online courses and keep learners involved. This article talks about ID strategies and the main areas designers should focus on. These include sequencing and assembling content, choosing methodologies to present the content, and finally, designing the assessments. Revising and reshaping content is an important aspect of e-learning development. This is not an easy task. The instructional designer has to know which tools to use to reshape content so that it caters to the needs of the learner going through the course. The focus here is on the tools an instructional designer should use which include both abstract and specific tools. Abstract tools are the instructional strategy and the instructional design process. Physical tools are the LMS and authoring tools. The author explains the things an ID must do to sustain learner engagement. Read the article to find out more. While there are no generic tips that can be followed by instructional designers to create courses, this article tells you about the four design principles you can follow to create a good course. The author discusses the importance of using the right questions to assess the learner, dividing the content into modules, identifying what learners want to know, and providing good feedback. Instructional design is not easy. You need to come up with ideas that will make your learners want to know more, anticipate the next module, and be eager to follow the instructional path you have designed. Sounds like an impossible situation? It is possible, provided you know the right way to design a course. The author of this article gives tips to make course design engaging. It highlights the importance of knowing your audience, knowing more about the subject of the course, and finding new ways to present the content to gain learner engagement. Be an e-learning action hero! One way to design courses in quick time is to use action mapping. With it, you can design a course with interesting activities to create the right business impact. According to the article, “A tool like the action map makes everyone focus on the business reason for the project and keeps extraneous information out.” The author suggests using a quick visual process when designing courses. This visual process in the form of an action map will keep everyone focused on the business goal of the project. 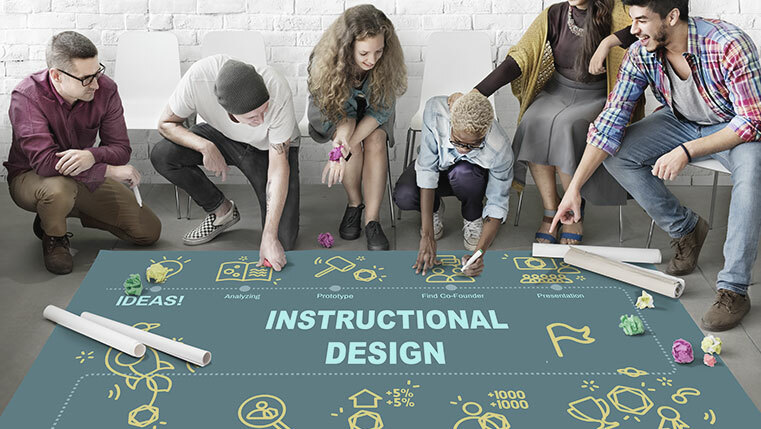 Read these articles to get a better perspective of instructional design and you can certainly make use of the tips given to enhance your design process. For more help with design techniques, download our free e-book, 116 Proven E-learning Design and Development Tips. The tips listed here will be a handy reference guide when designing courses. You will also find valuable suggestions from our in-house experts. Download now!